In a career which lasted almost half a century, George Groves was involved in hundreds of Warner Brothers pictures in either an operational or supervisory capacity. However, as far as George was concerned there was one film that he had the most affection for. 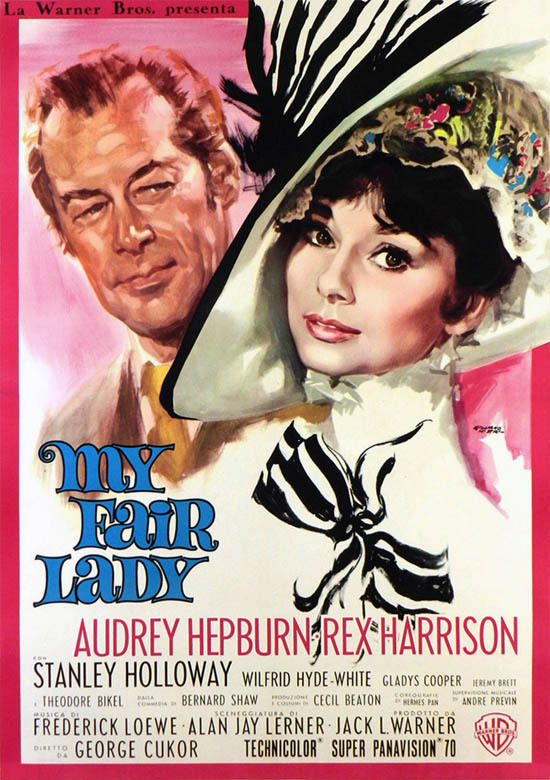 That was My Fair Lady which was made during 1963-4 and starred Rex Harrison, Audrey Hepburn, Stanley Holloway and Wilfred Hyde-White with George Cukor as director. Now you’re bringing up the love of my life. Of all the pictures that I’ve been associated with in any way, My Fair Lady was the greatest joy...it was a source of great enjoyment to me personally. My Fair Lady had been a big hit on Broadway and Warners paid a record $5.5 million for the film rights to Alan J. Lerner and Frederick Loewe musical. Julie Andrews had played Eliza Doolittle on stage but the film role went instead to Audrey Hepburn. George felt that Jack Warner had reservations about Andrews as a dramatic actress. We were all full of anticipation as to how wonderful it was going to be to work on such a show …Mr. Warner after spending such a sum for the rights was prepared to go all out and make it one of the great classics of all time. A Warners did not possess any 6 track recording or dubbing equipment, the pre-scoring was instead done at the Golden Studios in Hollywood. 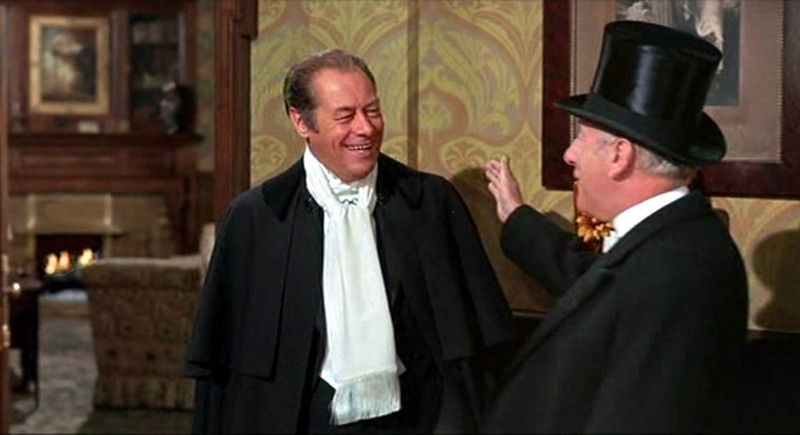 George commented how Rex Harrison did "a good job" and how Wilfred Hyde-White was "very, very funny...the whole pre-scoring operations sessions were very pleasant and went off very well”. However, Rex Harrison suddenly dropped a bombshell. Despite completing the pre-scoring sessions, he surprised George by declaring his unwillingness to mime to a playback of his voice. He said every theatrical performance he'd given of Henry Higgins had been different and he didn't want to be an "automatic device mouthing in sync". Fortunately in the pre-recording George had ensured isolation between Harrison's voice and the orchestra, so there were clean orchestrations to work with. George's first thought was a low playback of the pre-recorded orchestra on each set with a microphone to pick Rex up live. It was after all standard practice for performers to mime or sing live to a pre-recorded backing track. However, some sets were going to prove extremely problematic, especially Henry Higgins' studio. This had a metal stairway and a balcony containing Higgins' library. It would be impossible to photograph Harrison on that balcony and coming down the stairway without getting the microphone in shot. So George had a dilemma. I’m sure that nobody had ever attempted or even thought of using radio microphones to do a big musical, particularly of the calibre of My Fair Lady. Because of the hazard that existed with radio microphones at that time of picking up extraneous material from radio sources outside the studio and picking up a lot of hash and background garbage that cluttered up the track. Not that the equipment didn’t deliver a good quality but you were subject to extraneous pick up all the time. [Rex] thought it was the greatest invention, the greatest miracle that had ever happened...it gave him complete freedom of action. He was tremendously excited, tremendously enthused. He said "George, if there’s anything I can do, let me know and I will do anything you want to make this thing work." The radio microphone was one inch in diameter and the tube containing the pre-amplifier which fed the transmitter was two inches long. "It was a bulky thing", said George. So the wardrobe department created a course-knit tie, completely transparent to sound and the radio mic and its pre-amp were concealed within it. Rex was very patient with the time involved in being dressed and in being sound-checked on the set. As George Groves put it, he thought "this is God’s gift to Rex Harrison". This profile still of Harrison (right), taken from the film, reveals the stockiness of his tie containing the microphone. When he got into his house he threw off the cape but you’ll notice he never took off the white silk scarf until that number was over. The microphone was hidden in it. And that worked out again. They got a special white silk scarf that was a loosely woven material and we went to great pains to hide the microphone in that scarf. So he did that whole number live with a radio mic. ...had to keep the receiving antenna just out of the sidelines of the camera view and dolly it down with him to get the maximum pick up and the minimum of noise rather than putting the receiving antenna in some location at the end of the street and hoping to pick it up all the way down. It just wouldn't work. We got a lovely break from God in that he kept all the extraneous radio signals under control. Warners did not have six track dubbing facilities so the sound was edited at Todd AO. 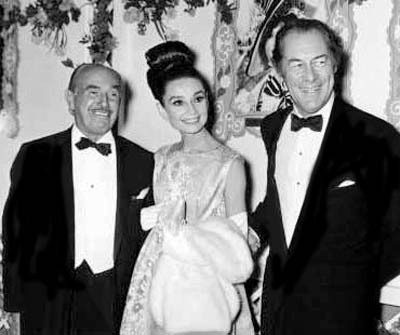 Jack Warner (right with Hepburn and Harrison) would check with George at the end of each day as to what progress had been made. He made a trip over one evening to view six reels and simply said "keep up the good work". Attention to detail with the sound in MFL extended to non-synchronous sounds. Director George Kukor asked George to: "Do what you can to get real sounds of the real thing". So for Henry Higgins' elocution recordings of Eliza, they took old phonograph machines - or as George dubbed them "wonderful old relics" - and recorded the sounds onto phonograph discs. In order to get authentic sounds for the Covent Garden vegetable market scenes, George wrote letters to the BBC, Warners' studio in Elstree and EMI in London requesting recordings. Then the sound of Bow Bells and other background atmos was mixed in with the 'cloppety-clop' of horses' hooves and the dragging of carts to create a live atmosphere. It was important that the audience could suspend its disbelief that it was a studio set. "We went to a lot of trouble to get this stuff", said George. Everybody was striving for ultimate perfection and striving for a flawless setting for everything concerned with My Fair Lady. The radio microphone enabled a natural performance from Rex, creating all the atmosphere and feel of one of his live performances and established a great friendship between him and George Groves. Whether they talked about their origins is not known, but they were both "Lancashire lads" as Rex had been born in Huyton near Liverpool, just six miles away from George's birthplace in St.Helens. 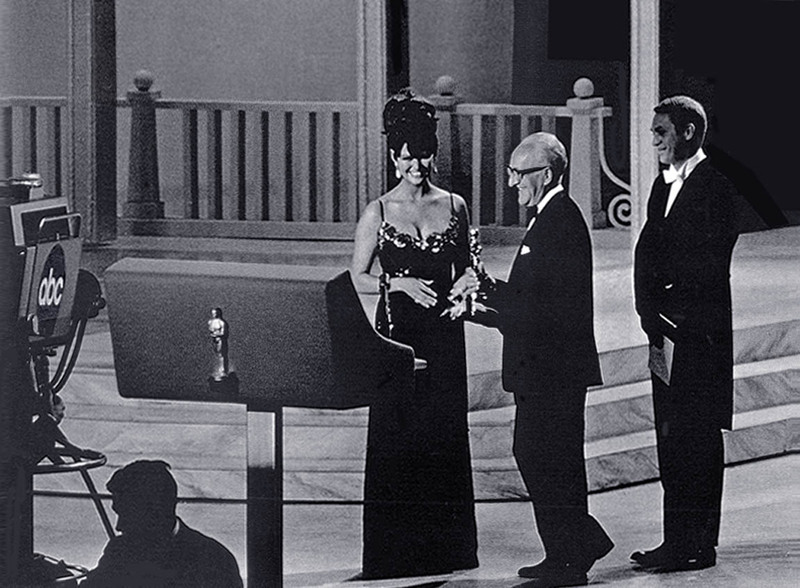 On April 5th 1965, the Academy of Motion Picture Arts and Sciences awarded Warners Sound Department the Best Sound award for My Fair Lady. It was one of eight awards the picture scooped that evening. I was very proud of it of course. 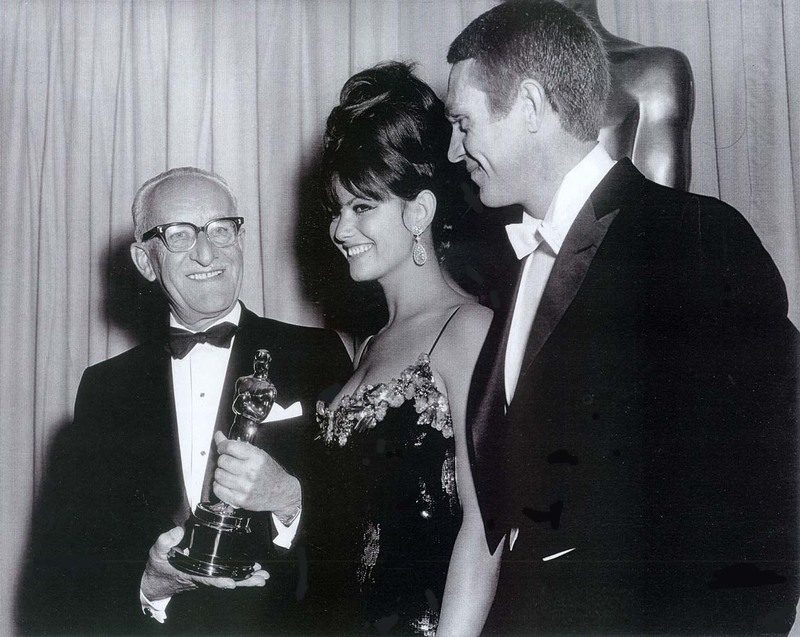 The Oscar was presented by two very charming people, Claudia Cardinale and Steve McQueen. It was a very proud moment in my life. It’s the one I really treasure.